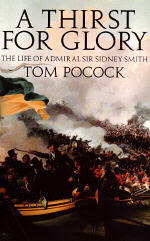 Admiral Sir Sidney Smith liked to think of himself as a second Nelson, and there were parallels between the two. Smith and Nelson shared the credit for changing the course of history by ending Napoleon Bonaparte's dream of eastern conquest: Nelson at the Battle of the Nile and Smith by his defence of Acre. While Nelson became the unrivalled national hero, Smith has been almost forgotten. Yet had his advice been followed, campaigns in the Middle East would have been forgotten and thousands of lives saved. 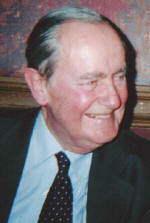 "Tom Pocock's biography does justice to a gifted and colourful personality... Tom Pocock gives a most lively and readable account of him..."
"Tom Pocock is one of the leading naval historians of the period and writes with learning and great narrative elan. This is a sympathetic and hugely entertaining portrait of a figure Napoleon admired and considered 'half mad'"